These Pelicans are so pretty and colorful but they are almost comical with their huge bill. They dive head first for their food and can dive into the water from as high as 65 feet! They can hold 2.5 gallons of water in their throat pouch. Seems a pretty efficient way to eat. This entry was posted on Monday, February 1st, 2016 at 11:04 pm. 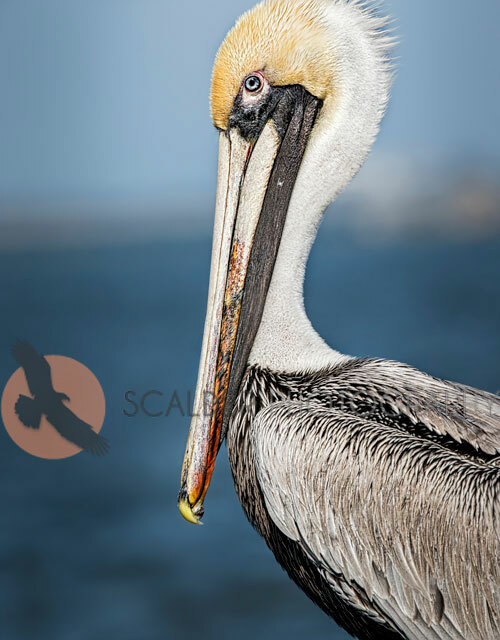 It is filed under Animals / Wildlife, New Images and tagged with bird photography, Brown Pelican, florida, sandra calderbank, scalderphotography. You can follow any responses to this entry through the RSS 2.0 feed.